The Lavender Experiment: Toothpaste - The Wonder Paste! My good friend Alison from My Red Scooter just emailed me to ask where I get my castile soap (Soap Kitchen - they're awesome!) and mentioned a top green cleaning tip that I thought I'd pass on. To remove texta (or pencil perhaps?) from hard surfaces like kitchen cupboards, tables, benches etc, just use a dab of toothpaste and a tissue, keep rubbing the mark until it comes out. Presto*! 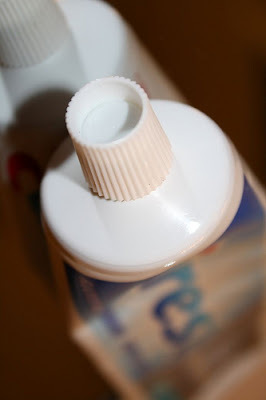 I know that toothpaste has additional cleaning uses, so I'll do some reading and put together some more uses. I don't think you can find a much greener cleaning solution than something we all happily put in our mouths on a daily basis, so this is definitely worth putting in the green cleaning armory. *I haven't tried it yet, but seeing as Isy has just scribbled all over her bedside table with black pencil, I now have the perfect reason to try it and will let you know how I go.